You’ve lunched at Voyager, had tastings at all the wineries and think you’ve seen all there is to Margaret River… think again. Hidden amidst the tall timbers are a myriad of waterfalls and natural treasures that are awaiting your visit. Stepping out of the car at Redgate Beach we are buffeted by gale force winds. The rain pounds onto our bodies and within seconds, anything not wrapped in Gortex is drenched through to our skin. We set off across the wet beach sand in rain that falls relentlessly from the angry sky above, while huge waves break in a crash of white spray just metres away. People thought we were crazy when, over a coffee that morning, a group of us decided to set out on a hike from Redgate to Contos. The area is the most exposed section of the world renown Cape-to-Cape track and, while offering stunning views of the rugged coast between Margaret River and Augusta, offers no protection from the rolling winter storms. Yet by the time we reached the other end of the beach and begin to weave our way up the limestone track to the top of the cliffs, the rain has stopped. We are left with just the wind to contend with as we enjoy the rugged beauty of the shoreline. When we finally arrive at our destination – a hidden track just south of Contos – the grey clouds are lined with brilliant silver. Our pick-up vehicle is waiting and we make our way home, exhausted but exhilarated. At work the next day a colleague asks about my weekend and I replied that I had enjoyed a few days in Margaret River. 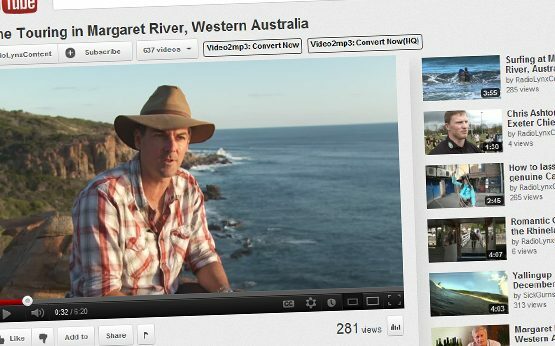 “Margaret River? That place is overrated,” he replies. I was tempted to ask if he had ever seen the Margaret River rapids in full flow, watched the whales play from atop the ancient Wilyabrup cliffs, knew the dreamtime stories of the Meekadarabee falls or had ever stumbled upon Ellen Bussell’s colonial-aged vegie patch? But after a weekend enjoying Margaret River, I was far too relaxed. I just smiled. First, there was the surf and the big waves that now draw in some of the biggest names in the business. Later, clever marketing of the region’s wonderful wines made Margaret River a popular destination for wine tourism. Margaret River region has always had a natural beauty and recently, more and more tourists are wanting to step away from the crowds for a better understanding of what the region has to offer as the locals see it. The figures paint the picture of the changing face of the region’s tourism. A recent study by the Sustainable Tourism Co-operative Research Centre found 44 per cent of visitors to Australia’s wine regions come to see the natural beauty and scenery while only 30 per cent visit for the wine itself. Closer to home, Tourism WA has confirmed the last four years has seen a 54 per cent increase in visitors wanting to experience national or State parks and a 30 per cent increase in visitors seeking bushwalking experiences, while shopping as a leisure activity remained static. The buzz word in the tourism industry is ‘experiential’ travel and Francine Burton, Chief Executive Officer of the Augusta Margaret River Tourism Association, confirmed the trend was on the rise in the region. Savvy tourism operators are already tapping into the changing market, offering itineraries to sites day-trippers and international guests are unlikely to find on their own. “To cater for the demand, we are seeing an increase in the number of operators offering high end private touring in the region, which meets the expectations of the visitor for a nostalgic, non-commercialised, uncrowded and laidback discovery of Margaret River,” Francine said. 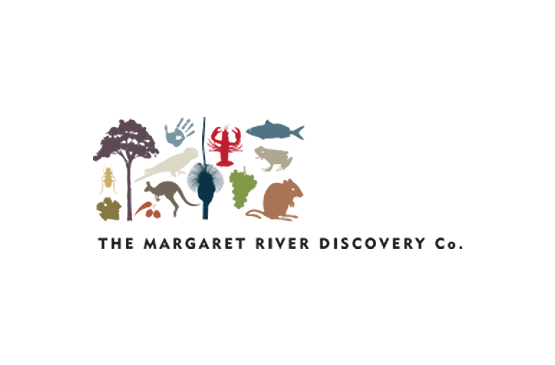 The Margaret River Discovery Company is leading the way, combining an off-roading, back-to-nature experience in a wine tour with a difference. The private touring experience has thrilled international and domestic guests, evidenced by its #1 ranking on TripAdvisor, thanks to its highly personalised approach and the enthusiasm of proprietor Sean Blocksidge. A demographic snapshot of the experiential traveller shows a well-travelled person at the high end of the tourism market, who is looking for a tourism experience that will set apart their latest journey from previous travels. As Sean’s clientele has proven however, their country of origin is less important, with domestic travellers equally keen to expand their horizons as international guests. Aussies urged to holiday at home!